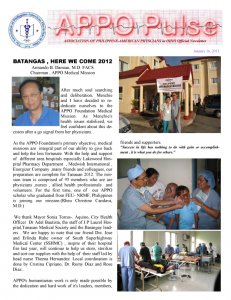 APPO Pulse is distributed free to the members and APPO supporters. Its content is purely informational and the sole responsibility of the editorial staff. Click on a thumbnail below to download a pdf of the issue.